Hey guys! 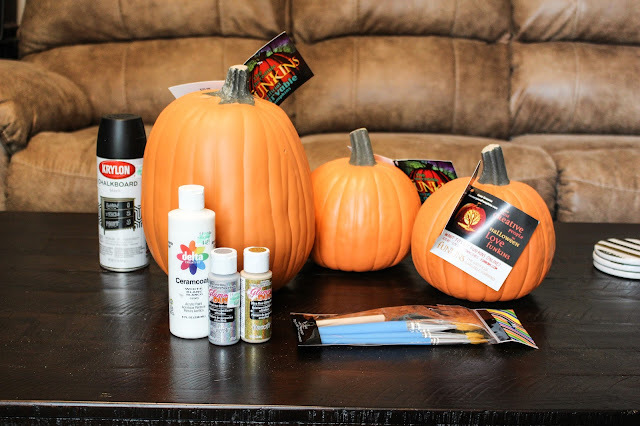 Today's post is quite a bit different from my usual outfit posts! With fall here, and Halloween being so close, I thought I'd share a little fall DIY with y'all! Now, I'll be the first to admit, I am not a super crafty person. 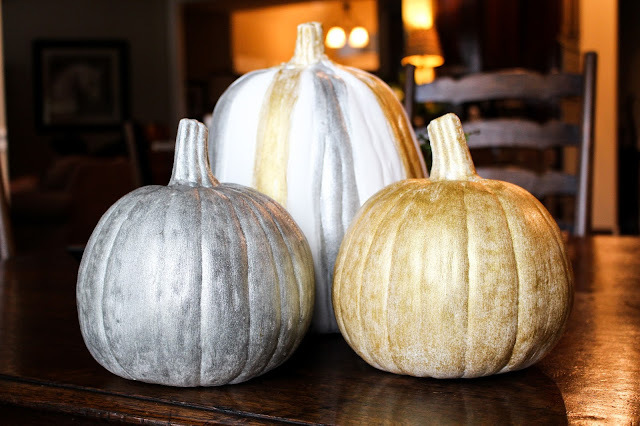 Creative crafty things are not my strong suit, but these glitter pumpkins are perfect for my fellow "not-so-crafty" girls out there. These are super easy, and turn out pretty darn cute! 1. 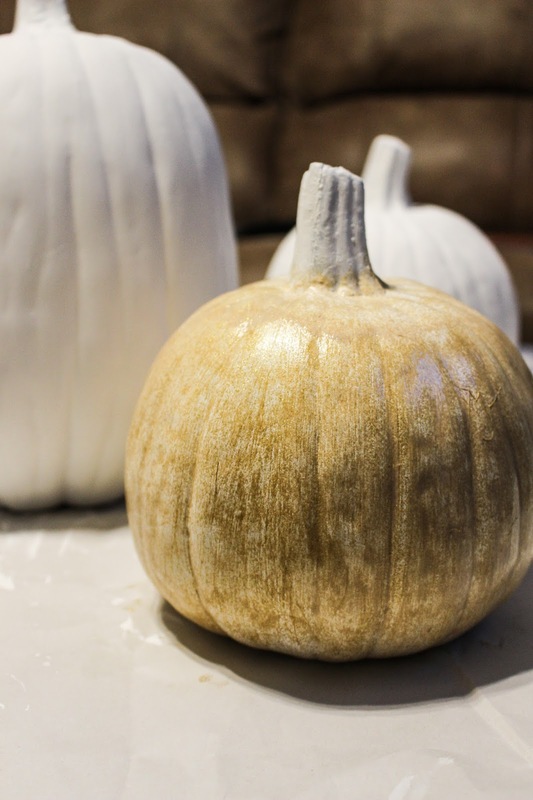 I used Funkins pumpkins for this project. 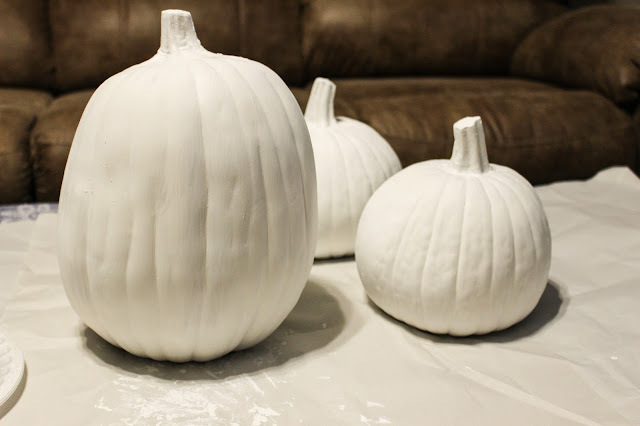 Plain white ceramic pumpkins would also work well, I think! 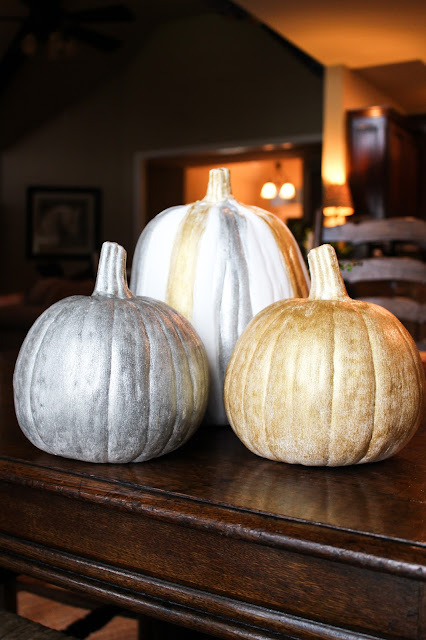 Start out by painting the pumpkins white! 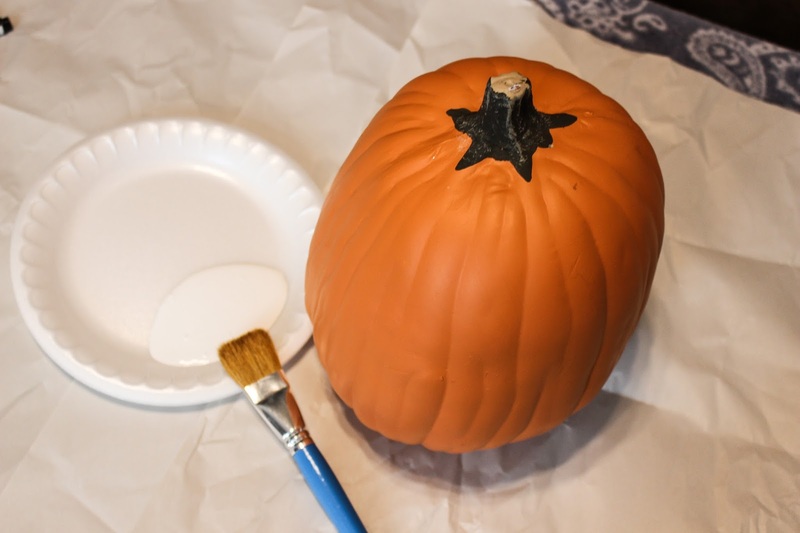 I just pour some paint on a paper plate and start off by painting the bottom of the pumpkins first. Then once they dry, you can stand them up and paint the rest of the pumpkin. 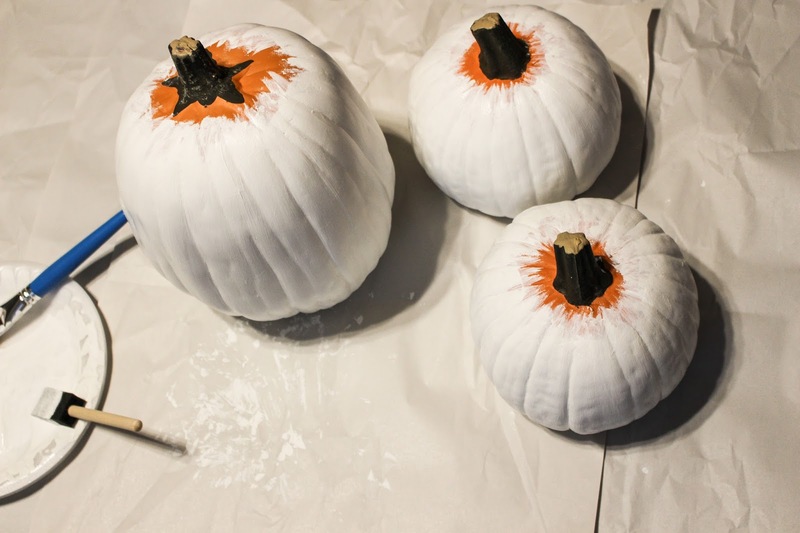 Once you've painted them all white, wait for them to dry completely before applying the glitter paint. Once you start applying your glitter paint, you can do however many coats depending on how glittery you want your pumpkins. 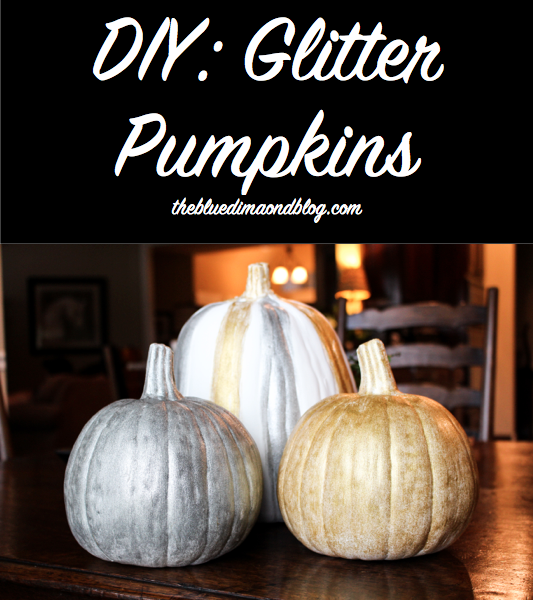 I like mine pretty glittery, so I did about 3 coats of glitter paint. The finished product! I decided to get a little fancy and do some stripes on the larger pumpkin! 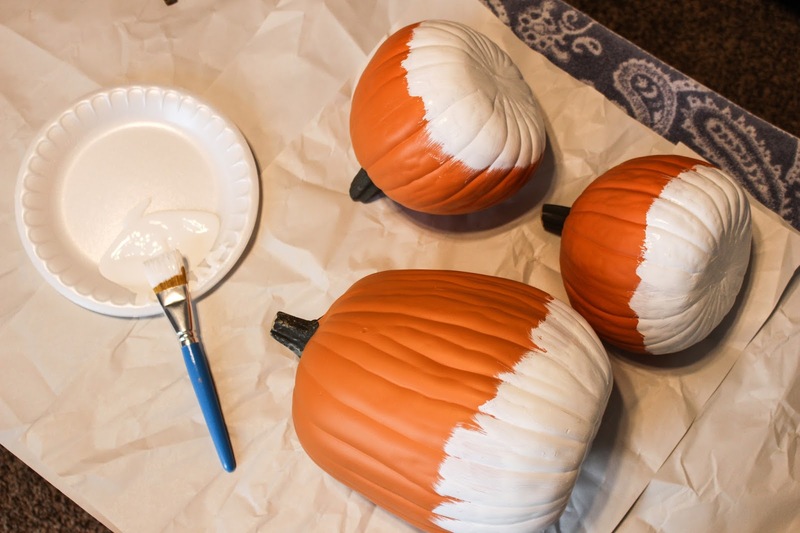 You can do any kind of designs or colors you like. 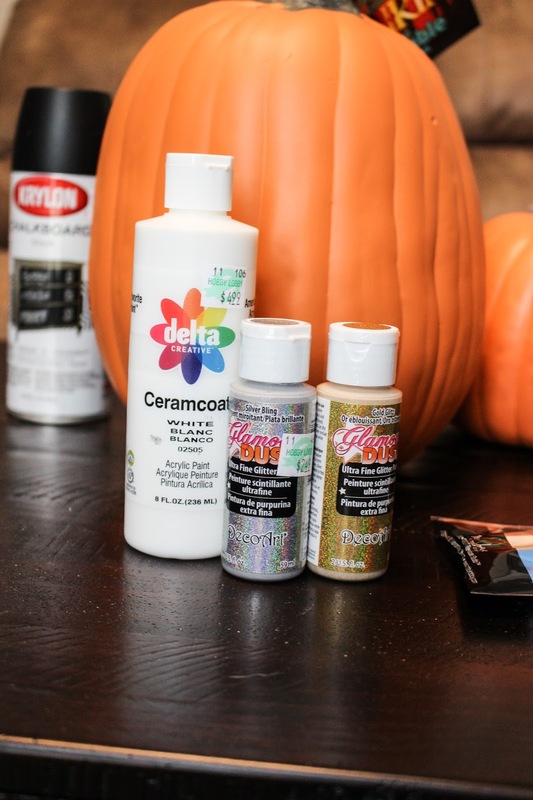 I really like the gold and silver glitter paint, but there are tons of colors to choose from!